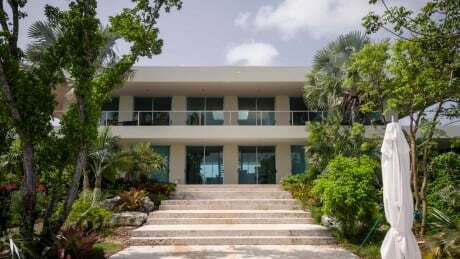 Prime Minister Justin Trudeau's controversial Bahamas vacation cost Canadian taxpayers over $215,000 — far more than initially disclosed to Parliament, CBC News has learned. A document obtained by CBC News under the Access to Information Act reveals the RCMP spent more than twice the amount it initially listed in its response to a question posed by a member of Parliament earlier this year. The new figures from the RCMP bring the cost to the Canadian government of Trudeau's stay as a guest of the Aga Khan on Bell Island to $215,398. That amount, which covers the RCMP, DND, Global Affairs Canada and the Privy Council's costs, is 70 per cent higher than the $127,187 tab first tabled in Parliament. The news that the trip cost more than initially believed comes as Trudeau is under investigation by Parliament's ethics watchdog and already under opposition fire for the cost of the Christmas holiday trip in 2016 to an exclusive private island in the Bahamas. In its response to Parliament in March, the RCMP said the trip had cost it $71,988 — $18,735 for overtime and shift differentials plus $53,253 in "travel, accommodation and per diem" costs. At the time, it said the total represented all payments processed by Feb. 1, 2017. "There may be additional payments still in accounts payable processing," it wrote. In the new document, the force now says the "total cost of all expenses incurred" was actually $153,504 — $81,515 more than it initially told Parliament. The RCMP has not updated the figures it gave Parliament. The RCMP's initial response to the access to information request from CBC News for details of its spending was that costs of the trip "were not tracked separately" and could not be provided. It was weeks after CBC News pointed out that costs had already been provided to Parliament that the RCMP released the new figures but has not released any details. The document also says "the Prime Minister did not attend the entirety of the trip" but offers no further explanation. Cameron Ahmad, media relations manager for the Prime Minister's Office, refused all comment on the trip or its costs. "We never comment on matters relating to the Prime Minister's security — those are questions best directed to the RCMP." In an emailed response, RCMP spokesperson Sgt. Harold Pfleiderer said the difference between the cost reported to Parliament and the costs reported in the document obtained through access to information was payments that had not yet been processed when the force reported to Parliament.